I made a promise here on this blog and the promise went something like this: “I won’t blog more than three recipes from any particular cookbook because, after a certain point, people should just buy it.” Which is why I stopped blogging about one of my favorite new cookbook purchases (though not a new cookbook) because, pretty quickly, I posted three recipes from it. Now I have a 4th recipe which isn’t so much a recipe as it is a technique. So I’ll break my own rule but I sort of feel ok about it because (a) I won’t tell you what book it’s from; and (b) this technique is so straight-forward and simple, it may as well just be something your neighbor told you how to do rather than something from the pages of Marion Cunningham’s Breakfast Book. Oops. 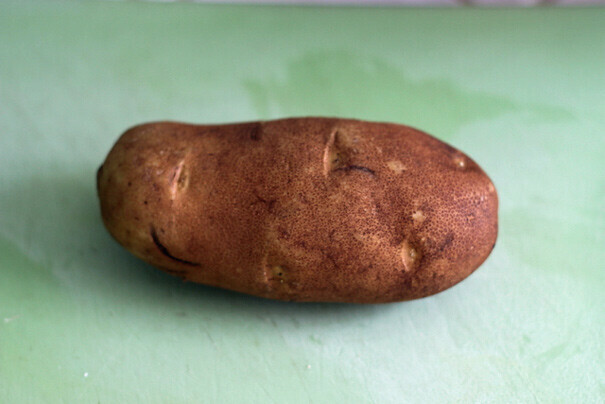 To make this recipe–err, technique–you’ll need a good old-fashioned Russet potato. 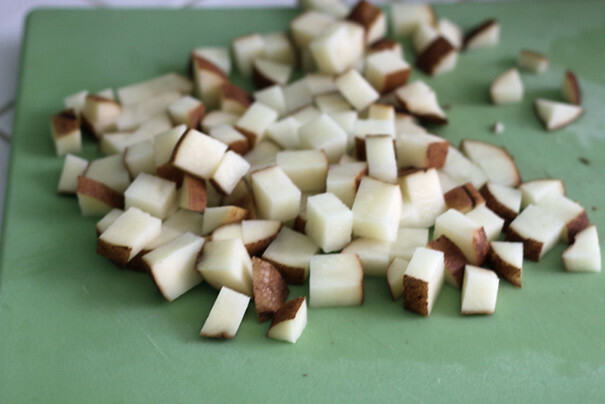 Wash it and pat it dry with paper towels and then cut it into 1/2-inch cubes. Meanwhile, in a cast iron or non-stick skillet on medium/high heat, render about 4 pieces of smoky bacon that you cut into strips. Add a splash of canola oil to help them along. 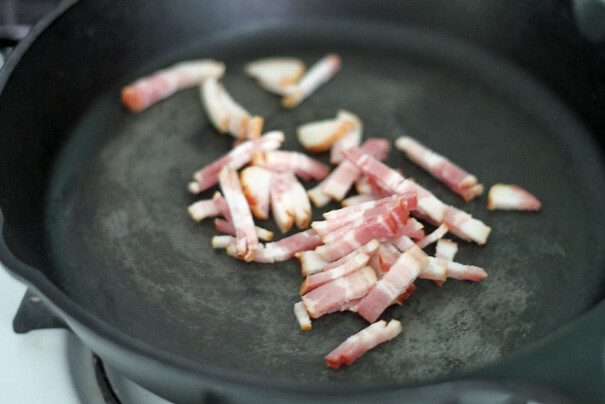 When the bacon is just crispy and the pan is coated in bacon fat, remove the bacon to a plate and turn up the heat. That bacon fat will get really hot. 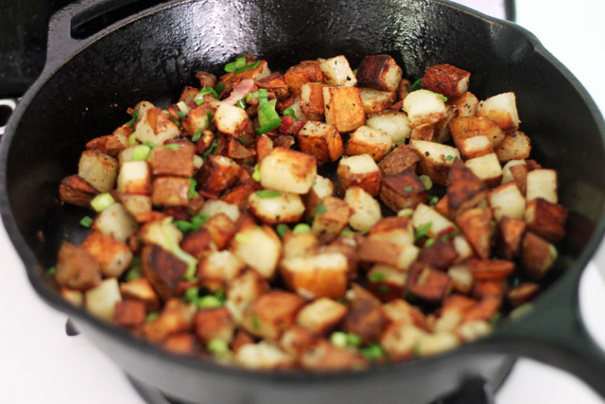 When it’s basically smoking, add your potatoes in a single layer and sprinkle them with salt. You should hear a loud sizzle. 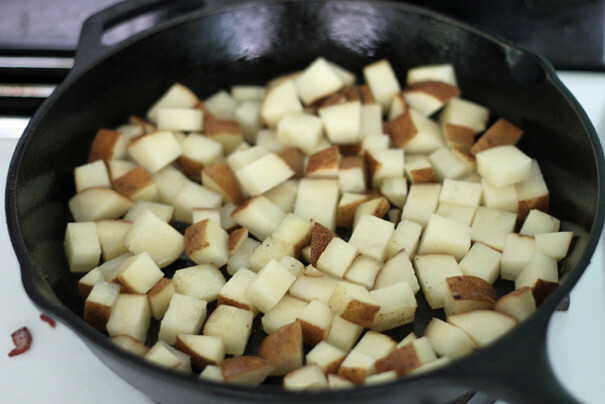 Leave them like that for a few minutes (if the pan looks particularly dry, you can add another splash of Canola oil); eventually, check one of the potato pieces. 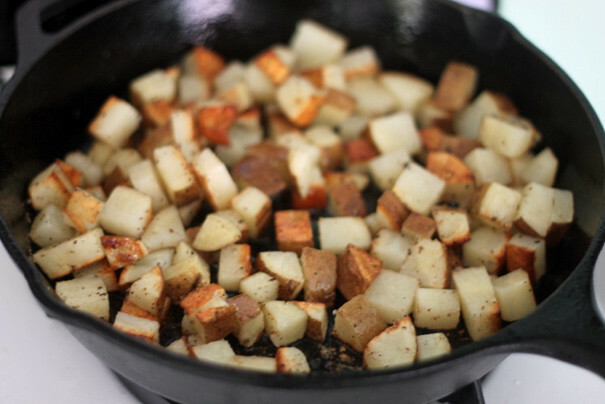 If it’s dark brown, use a spatula and flip the potatoes. Sprinkle with more salt and pepper and continue cooking. 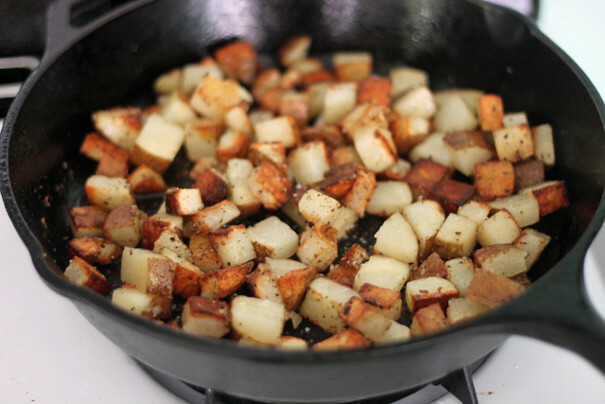 You’ll basically proceed like this until the potatoes are brown all over and when you lift one from the pan and blow on it for a bit and taste it, it tastes totally cooked. At this point, when they’re cooked, you can do what I did and add chopped scallions, but you don’t have to. But you do have to add the bacon back because that just makes sense. 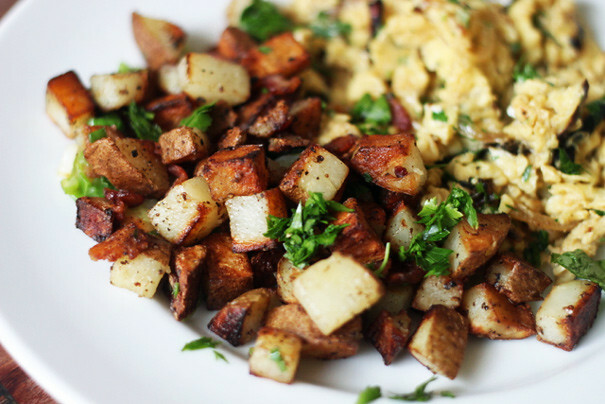 Serve ’em up with eggs scrambled with caramelized onions and cheese and you’ve got a breakfast fit for a king. I hope it’s a tribute to Marion Cunningham and her wonderful Breakfast Book that I couldn’t resist sharing a 4th recipe. Now I’ll stop, I swear.